Bad news: He's dating someone who's not you. Niall and Hailee have yet to make the transition from a relationship caterpillar into a beautiful relationship butterfly—in other words, they're pretty low-key and haven't even officially confirmed their status yet. But let's just say this timeline makes it pretty clear that they're ~on~. Let's go back, back to the beginning. 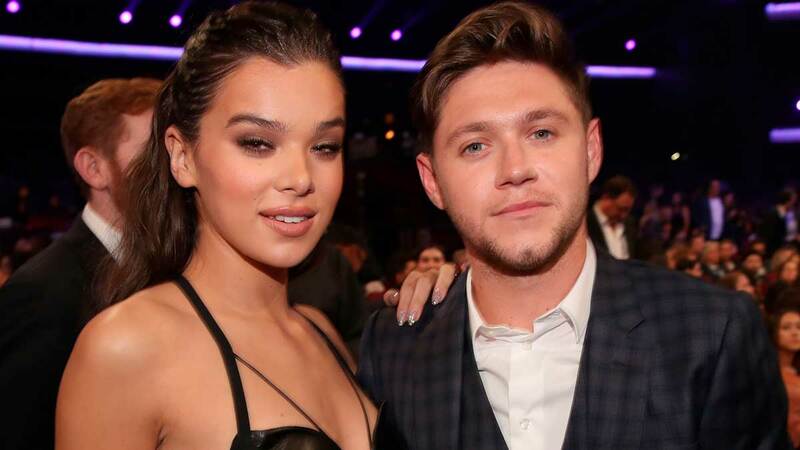 Niall wishes Hailee happy birthday on Instagram, calling her one of his best friends and fueling speculation that they've been spending time swapping spit. (Sorry, that was so gross, I take it back). Niall and Hailee are spotted attending a Backstreet Boys concert together (I'll give you a moment to LOLOLOLOLOL), which ignites even more speculation that they're definitely doing the dirty in an official capacity. (Sorry, that was also so gross, I take it back). Around this time, a source tells People, "[Hailee's] not actively pursuing anything. Niall is really into her but she's unsure if she wants to get into something new right away." To paraphrase the Backstreet Boys themselves, Niall wants it that-a-way. Meanwhile, a source tells E! "It's true that Hailee and Niall are dating, but at this point, it's still pretty casual." Fans capture a pretty stalker-y video of Hailee and Niall kissing at a restaurant in the Bahamas, and it quickly makes the rounds on Twitter. Due to ~respecting their privacy~ I won't publish it here. In, uh, romantic (??) news, Niall invites Hailee to watch the U.S. Masters Tournament in Augusta, Georgia, where they share a house for the four-day event. Golf tournaments, you guys! They're totally the new "let's go to Paris for the weekend!" Niall and Hailee are seen partying in Los Angeles. Sources say they can't keep their hands off each other: "Niall had his arm around Hailee and they were holding hands. They definitely looked like a couple." Hailee and Niall are spotted kissing (or as the British say, "snogging") backstage at BBC Music's The Biggest Weekend event in Swansea. BBC Radio 1 producer Fiona Hanlon spies the couple making out, confirming "They were snogging, they were!" Niall and Hailee make a rare public appearance together, stepping out in NYC for some casual shopping at Saks Fifth Avenue before Hailee's performance at Radio City Music Hall. Annnd that brings us up to date! Stay tuned for more updates, because judging from the rest of this summer, there's a 50/50 chance these two will end up engaged. Niall and Hailee were seen kissing while out shopping in Los Angeles. More importantly, the couple was twinning in matching white T-shirts and shoes and blue pants and shorts. If that's not love, what is?